"Under the star, under the star, one angel sees, a manger afar." 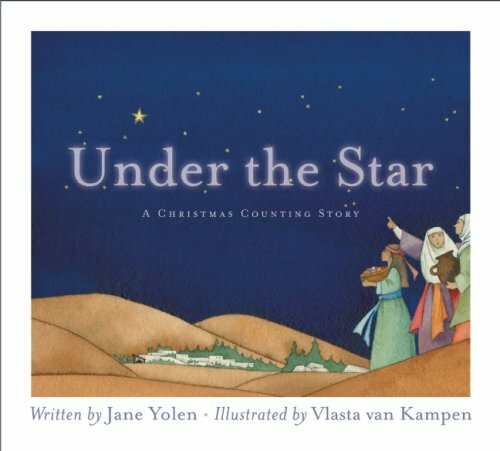 So begins this charming Christmas counting tale from beloved children's author Jane Yolen, lauded as the "Hans Christian Andersen of America" by Newsweek. Written with the youngest reader in mind, and accompanied by the stunning, color-drenched artwork of Vlasta van Kampen, Under the Star makes a welcome gift beneath any Christmas tree. Irresistible, easy-to-follow text and engaging images ensure its use throughout the year.